1. 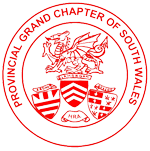 The Provincial Grand Chapter of South Wales shall be held in the month of June, or at such other time and at such place as the M.E. The Grand Superintendent shall appoint. The Grand Superintendent has the power to convene a Provincial Grand Chapter whenever he may think fit. The Provincial Grand Chapter is subject to the same Laws as are laid down for the government of the Supreme Grand Chapter of England. 2. This Provincial Grand Chapter shall consist of the Present and Past Provincial Grand Officers, the Principals and Past First Principals of and in every Chapter within the Province, so long as they are subscribing Members of their respective Chapters, and are Members of Grand Chapter, and these only have the right of speaking or voting in Provincial Grand Chapter. All other Companions may, by authority of the Grand Superintendent, be permitted to attend Provincial Grand Chapter, but they shall not be allowed to speak on any question without his permission, nor under any circumstances may they vote. 3. No motion shall be brought under discussion at the Annual Convocation of the Provincial Grand Chapter unless notice in writing of the same shall have been sent to the Provincial Grand Scribe E. before the 31st day of March, unless with the sanction of the Grand Superintendent; the notice of motion to be embodied in the summons convening such Convocation. 4. The Grand Superintendent, the Deputy Grand Superintendent, the Second Provincial Grand Principal, the Third Provincial Grand Principal, the Provincial Grand Scribe E, the Provincial Grand Treasurer, the Provincial Grand Registrar and the Provincial Grand Director of Ceremonies shall constitute a General Purposes Committee of Provincial Grand Chapter, with power to add and/or co-opt, to meet as may be required and to deal with all administrative, financial and ceremonial matters arising from time to time. 4b. In accordance with Royal Arch Regulation No. 39, an Auditor shall be elected annually to audit the Accounts of the Provincial Grand Treasurer and may be invited to attend any meetings of the General Purposes Committee of Provincial Grand Chapter to make a report of anything which might relate to the accounts. 4c. A Meeting of the General Purposes Committee shall be held previously to the Annual Meeting of Provincial Grand Chapter or at such time as the M.E Grand Superintendent shall appoint. 5. Every Companion on first appointment shall pay immediately to the Provincial Grand Treasurer for the Provincial Relief Chest a registration Fee of £15. There will be no fee payable on reappointment or promotion except to the ranks of Deputy Grand Superintendent and to the ranks of 2nd & 3rd Provincial Grand Principal where an additional fee of £25 shall be payable. 6. Every Chapter in the Province shall transmit to the Provincial Grand Registrar a list of Members belonging thereto on the 1st of January, distinguishing the Principal and Past Principals, with the dates of passing the Chairs, and of all Companions exalted, or who have joined since the last return, giving the dates of exaltation or joining, also the name in full, occupation and place of residence of each, and in the case of joining Companions, the names and numbers of the Chapters in which they were exalted, and the title or designation of each Companion. 7. If any Chapter shall neglect to make the returns to the Provincial Grand Registrar before 1st February in each year, after having been duly reminded, it shall become liable to admonition by the M.E. Grand Superintendent at the next meeting of Provincial Grand Chapter. 8a (1) The Annual Dues for every subscribing member of a Chapter shall be £10.00 per annum or such lesser amount as the Provincial Grand Chapter at the Annual Convocation shall from time to time decide. (2) For every member Exalted or Joining from a Chapter not holden under the Supreme Grand Chapter The Registration Fee shall be £4.00. 8b (1) The fee for Dispensation from the ME Grand Superintendent shall be £8.00. (2) The fee for Registering a new Chapter shall be £25.00. 9. Each Chapter shall send to the Provincial Grand Scribe E., immediately after the Installation of the Principals, their names and postal addresses and the date of such installation. 10a. The Scribe E of each Chapter shall, at least fourteen (14) days before each convocation of the Chapter. forward to the Provincial Grand Scribe E electronically, (or if by post seven (7) copies of) the notice convening Convocations of such Chapter for distribution by him, to the M.E. Grand Superintendent, the Deputy Grand Superintendent, the Second and Third Grand Principals and the Provincial Grand Director of Ceremonies and for Provincial Grand Chapter records. 11a. Communications to the M.E. Grand Superintendent shall be made and replied to, either electronically or by post, through the Provincial Grand Scribe E. (at his discretion). 12. The Provincial Grand Scribe E shall attend and take minutes of all Convocations of Provincial Grand Chapter, and of all Meetings of Provincial Boards or Committees. He shall see that the returns from the several Chapters in the Province are entered in the books of Provincial Grand Chapter He shall pay over all monies received by him to the Provincial Grand Treasurer, and he shall summon every Convocation of Provincial Grand Chapter at least a fortnight before the day appointed for such Convocation. 13. The Provincial Grand Scribe for the time being shall see that all Companions attending Provincial Grand Chapter are properly clothed, and that no unqualified person be admitted. 14. The Provincial Grand Treasurer shall be elected annually by the Members ofProvincial Grand Chapter. He shall receive all payments from the several Chapters, all Registration Fees, and other monies belonging to the Provincial Grand Chapter, and shall deposit the same in a Bank to be determined upon by the M.E Grand Superintendent. He shall make all payments duly passed by the Provincial Grand Chapter, or certified by the M.E. The Grand Superintendent and present his accounts formally balanced for Audit each year. The Accounts of the Provincial Grand Treasurer shall be printed and a copy forwarded to each Chapter in the Province. 15. The Provincial Grand Janitor shall attend each Convocation of Provincial Grand Chapter, see that all Companions have signed his book, and assist the Provincial Grand Scribe N in his duties. 15a. At every Convocation of the Provincial Grand Chapter the M.E. Grand Superintendent, or other presiding Officer shall appoint one or more Companions, if necessary to assist the Provincial Grand Janitor in the discharge of his duties, and to guard against the admission of any but those who are qualified Companions. 16. All the Regalia of the Provincial Grand Chapter shall remain in the custody of the Provincial Grand Scribe E, who shall insure the same against loss or damage by fire; and any Provincial Grand Officer who shall take away any part of the Regalia without the consent of the M.E Grand Superintendent shall be answerable for the full value in case of loss, injury or non-return of any part of such Regalia. 17. These By-Laws shall be printed at the expense of the Provincial Grand Chapter and will be forwarded electronically, or two copies sent if forwarded by post, to each Chapter in the Province of South Wales, one hardcopy of which shall be kept in the Chapter’s Minute Book for reference. 18. These By-Laws shall be binding on all the Chapters in the Province, and no alteration shall be made except with the approval of the Provincial Grand Chapter after due notice of motion. THESE COMPILED BY-LAWS ARE BASED ON THOSE APPROVED ON 23RD JUNE 1995, INCORPORATING AMENDMENTS TO BY-LAW 10 APPROVED AT THE CONVOCATION HELD IN JUNE 2004; TO BY-LAW 5 APPROVED IN JUNE 2007; AND TO BY-LAWS 10, 11 AND 17 APPROVED IN JUNE 2012; AND TO BY-LAW 5 APPROVED IN JUNE 2013. APPROVED BY THE M.E. THE GRAND SUPERINTENDENT. Gwilym Haydn Jones OStJ. PGStB.